Description Scanned as B & W; creases. This photo joined with photo 149 creates panoramic view of Old Town. Photos 3516 & 3517 are the same images but clearer and wider so they join together better. The photo was taken from the steps or an upper floor of the 1893 school on State Street. 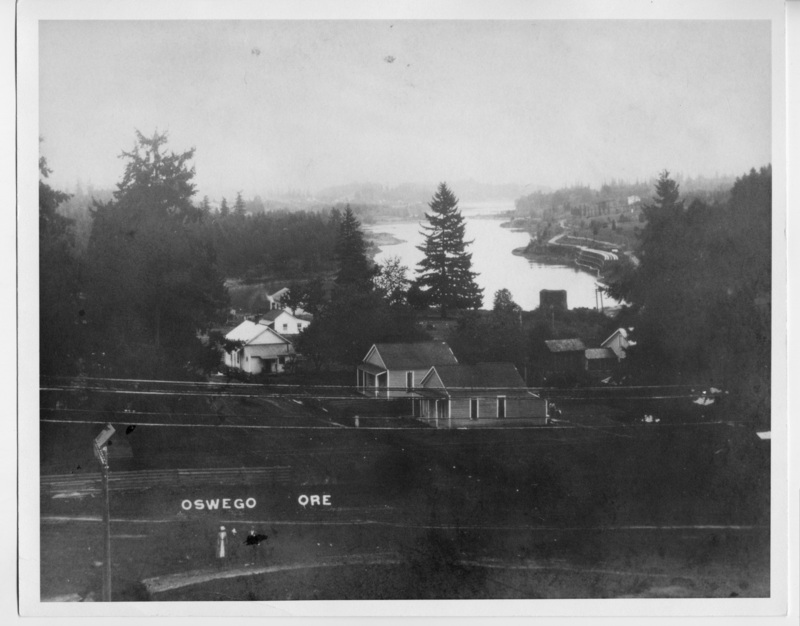 [imprinted on front]: Oswego ORE. Physical Description H 8" x L10"